So you’ve booked your documentary family photoshoot and you’re wondering what sorts of activities to plan for it. To help you out, I’ve put together this round up of 13 unique family photo ideas to inspire you. 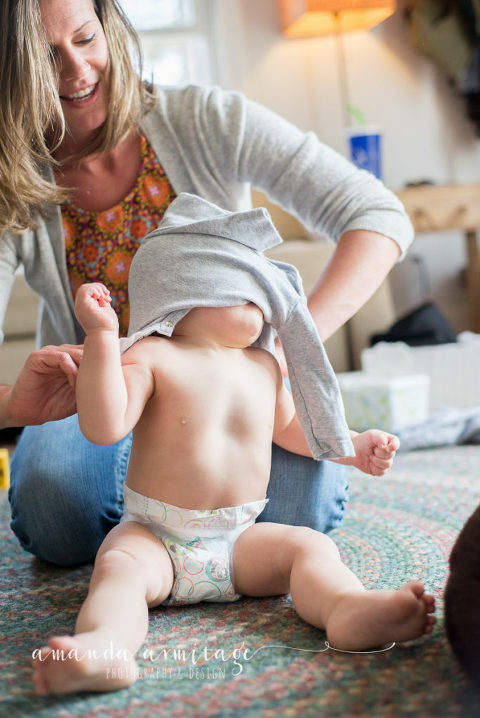 A Day in the Life Of – how many of you have struggled to change a wriggly baby? *raises hand* How fun to capture those mundane moments that are so fleeting in our lives. While during the Spring many photographers advertise photography sessions in the daffodils or tulips, another approach is more documentary in nature. Sure, I absolutely love and enjoy the beautiful color display the spring in Michigan provides us with, but let’s be honest here: how many of you go and sit in a field of flowers on a regular basis? Those photographs, while really beautiful, what meaning will have have for 10 years down the line? What will you remember? The fun that you had that day doing something you love doing as a family on a regular basis, or the tantrums and the bribes it took to get your 2 year old to sit and smile nicely for the camera? What I encourage my families to think about things they love doing together. What does “quality family time” means for you? Is that playing a sport at a nearby field? Is it gardening (with your toddler helping you water the flowers and digging for worms)? Is it going on a nature walk? Flying a kite? Wandering around your neighborhood and stopping for a coffee? Whatever it is, it will look great in your family photographs. Because when you’re doing something you love while spending the time with the people you love, and not thinking about the fact that it’s a photoshoot day, you will feel great – and that will show on your face! So, try these unique and fun ideas for your next family photoshoot. Let the kids be kids! There are no rules for photo sessions and nothing that says you have to look at the camera! Windy day? Find a hill or head to the beach and work together to launch a kite. Nothing can beat the delight on your children’s faces when the kite flies! A great location in Detroit for kite-flying is on Belle Isle where the winds are naturally higher there. Have a family member – maybe a grandparent? – who is passionate about fishing? Go make a date out of it, great photos are guaranteed! Living next to a lake and a river provides lots of local fishing spots. 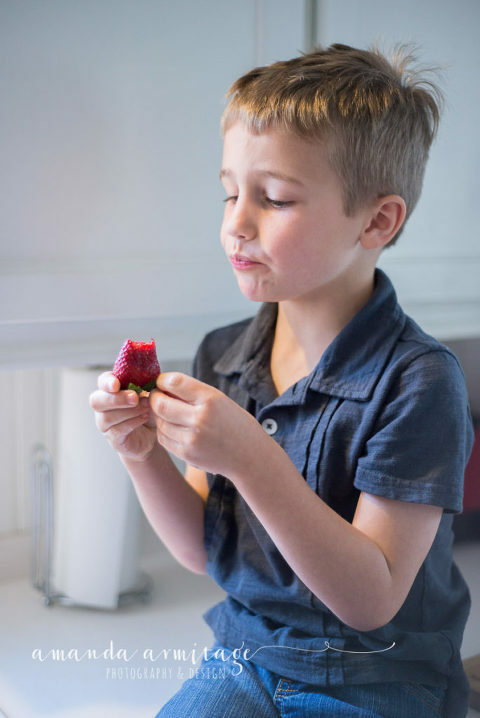 A Day in the Life Of – Fresh fruit always wins at snack time. Getting lost in some beautiful gardens. The kids would love digging, making holes for the seeds, watering, and generally getting pretty mucky. Whether working around the garden, in the greenhouse, or on a farm, working with the earth will look great in photos – and good for you, too! After working outdoors, head inside for a snack. Stepping onto the beach together, the Wood family had fun on Belle Isle with Detroit in the background. Brave the spring winds and go explore a beach location. Hunt for interesting beach finds, stomp in the water (boots on or off) and play ball games! Make sure you pack warm clothes. A soft merino wool sweater makes it super warm, so no need for bulky coats, especially as the kids are running around. Towels and a change of clothes are also a good idea to bring along – just in case your kids decide to go swimming, despite the freezing temperatures! Enjoying a nice walk on a beautiful morning. Go for for a walk in a local park and splash in the puddles, climb trees, chase squirrels, feed the ducks and hunt for early flowers. Stop for a coffee after. Forget the camera is even there and just enjoy family time. Kids love being a helper, getting all wet and mucky washing a dirty vehicle! If it’s a sunny day, get the buckets and sponges out, and do a vehicle spring clean! If you enjoy cycling, go for a family bicycle ride in the city or along the river. Stop and have a picnic and feed the ducks. Or teach your kid how to ride and have this important milestone captured on camera! Detroit’s Dequindre Cut was the perfect setting for the Olson’s fun family session. Whether you’re a born and bred Detroiter or you’ve just moved here, take a day out to go explore the tourists sites. Walk along the Riverwalk, visit the Sprit of Detroit, the Fox Theater and Comerica Park, or check out the fun streets in Midtown, Eastern Market or West Village. There are countless photogenic places in the city for beautiful portrait backdrops! Horseback riding is a favorite pastime for the Tuason family which made their session at the Hunt Club a perfect place. 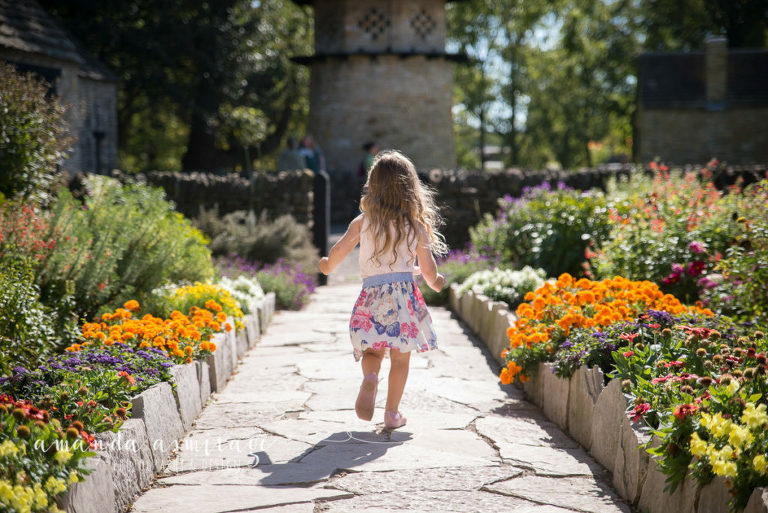 Warmer days are perfect for exploring the local farms and zoos. Kids love getting to watch and feed the animals, and it makes for great photos too! Greenfield Village offers many great family bonding opportunities and consequently photos as well. Do sports play a big role in your family’s lives? Head to the arena or field to document it! Ball games of all kinds are a perfect activity for your portrait session, or a Day in the Life photoshoot. Dedicate some of your session time to your activity of choice. Pick a favorite sport or two and give it your all! One of Lily’s favorite places is the Packard Plant cultivated by her mother’s and grandfather’s love for classic cars. A beautiful gem with gorgeous textures and amazing pockets of light showcased Lily’s joyful spirit wonderfully. Showing their roots, this family session took us to the Joe Louis Arena, Eastern Market and to their old downtown apartment. Is there a place special for your family? Your first flat together as a family, a place you lived in when you just moved into the city, a place where you first met or where you went on a first date, or somewhere you used to love to go for a picnic when you were pregnant? We can include it as part of our photoshoot! Doing a little light reading during a Day in the Life Of session. “Stop and smell the roses.” The Vogel family wanted to document that precious 6 month stage with a no fuss documentary view. If you are family that prefers chilling out at home, then do just that! Make a picnic in the yard if it’s a warm day, or fire up a barbecue, and enjoy family time. Who says being indoors means photos aren’t beautiful or interesting?! Raining outside? Creative opportunities await indoors too! The indoor buildings at the Detroit Zoo, Detroit Institute of Arts, Michigan Science Center, Comerica Park, and Eastern Market are all excellent places for some fun, unique family photos. You could also grab a cup of coffee/hot chocolate or a sweet treat at places like For the Love of Sugar, Chocolate Bar Cafe or Cornwall Bakery. Love this post? Please leave a comment below! 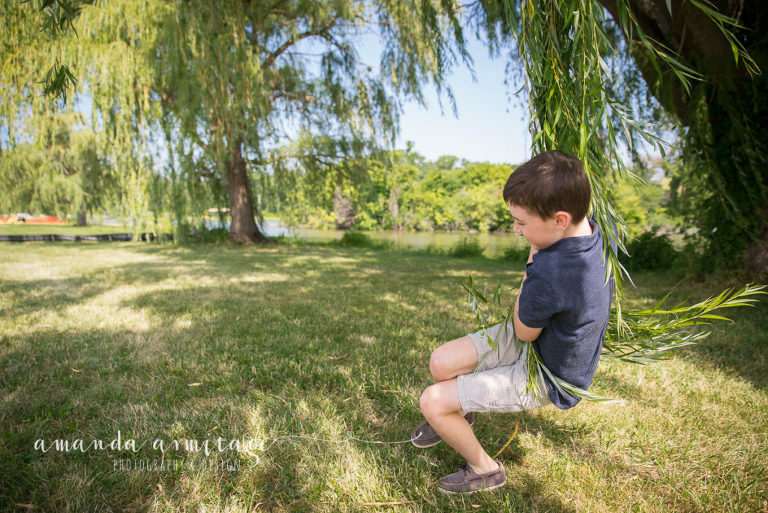 « Spring into your family portrait session!